September 2013 with a RCA RP3538 microcassette recorder. 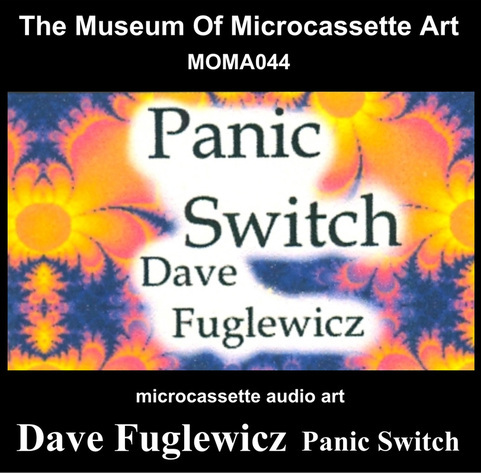 I own a lot of Dave Fuglewicz recordings (perhaps a complete collection), and "Panic Switch" is probably the downright creepiest of all. It starts out with Dave telling an odd, obtuse story about turkey vultures... The album sounds great, and in many ways is one of the strangest MOMA albums. There's this weird unsettling psychedelia thing going on, but it's dark, not happy - there's something a little paranoiac about it - a feeling of dread, which is accentuated by the abrupt starts and stops of the synth drones - hence the title I guess! VST's, found metal percussion sequence involved a couple of scrap pieces of aluminum: the "stick" (hitting device) was a box wrench, the voice experiments involved recording at the 1/2 speed setting. In case you are wondering, a turkey vulture is a "turkey" that feasts on YOUR dead carcass rather than the other way around. When I started this project I had other plans, I was going to compose a piece called "Visitation". This was to be a musical representation of contact with alien life forms. I approached it as I would other works of mine, full audio spectrum, effects, panning and so on. Then one night when I sat down to continue I thought "What am I doing here? ", all the nuances of the piece would be lost in translation to the limitations of the micro-cassette, the limited frequency response and monophonic recording. So I set that aside. By the way: I am continuing that piece and it will be a solo release sometime soon. I had been listening to what had been done in the Project so far and was particularly inspired by the Anthony Washburn release (MOMA015 - The Implicit Order - Time Index). I decided that I would just record whatever struck me at the time, a story, some percussion, some voice experiments recording at half speed but mostly spur of the moment improvisations with my modest collection of VST synths. Hope you all enjoy the end result. AND a BIG thanks to Hal for doing this project, I know a lot of work is involved. 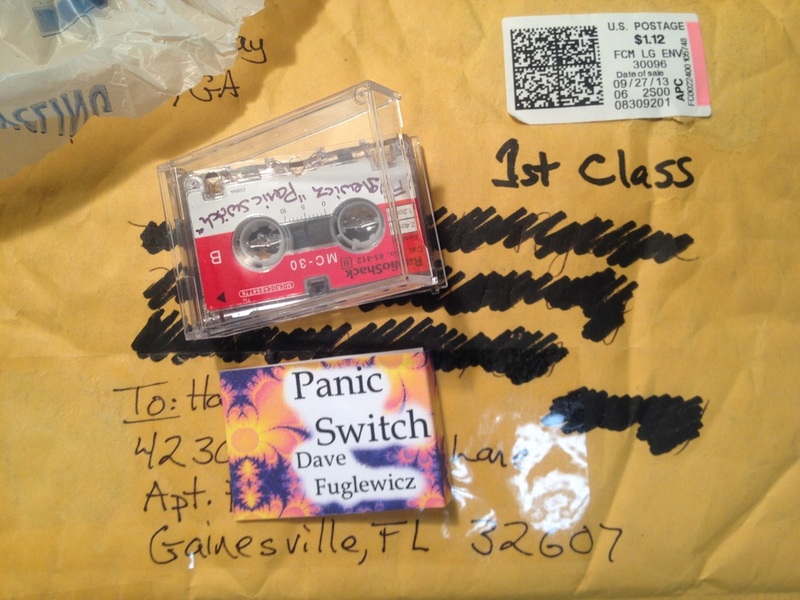 I'm a panic switch babay! Columbus is doomed Carl, hand me that entrenching tool. Hush my eyes we don't like Cody Goober no more. There's a fog coming out of my can of cola. It's the recradation. It's the recradation. It's another ship. The word "walka" refers to a name for a garden stake my granddaughter came with, for an imagination game we played several weeks ago. Defined: walka-walka sticks have the power to be anything.